Being the home of high-quality games, Coin Palace Casino is a place where you can play slot machines, table, roulette, blackjack and poker games designed for the players from all around the world. The functional currency is Bitcoin and all the financial information and bets are displayed in BTCs, but it is possible to use Euro or US Dollars to deposit and withdraw funds from your account. Those who want to play in other currencies are not let down – there is a comprehensive guide on how to convert the normal money to cryptocurrency, step-by-step. Offering games to players from every corner of the world except the USA, the site is available in English, German, Russian and Chinese. The gaming establishment is operated by Softswiss, the reputable casino software provider, under the license of the government of Curacao. Dozens of slots and a wide variety of popular casino games are at your disposal in Coin Palace Casino, as well as on the go. The shortcoming of the casino might be the fact that live dealers are not included in the offer, which may disappoint many passionate lovers of land-based casinos who want to gamble in the privacy of their own home. And when it comes to privacy and security of the transactions, you can surely find them here. 100% up to 1BTC Play Now! The platform is provided by Softswiss, the licensed doyen in online gambling world. Apart from Softswiss, it boasts high-end games from distinguished companies NetEnt, Microgaming and Endorphina. All features are available on the site, both on a computer and mobile devices, and do not require downloads. The games are classified into categories by “most popular” and the type of game – slots, roulette, blackjack, table games and poker, so it is easy to navigate and find what you want to play. Once you enter the casino, you are rewarded with 10,000 credits to your “fun” balance, so at least, you can give it a try. The platform also uses Softswiss Random Number Generator certified by iTech Labs, which ensures fair online gaming. If you have questions, you can contact the customer support via the form in ‘Support’ section or send an e-mail. However, the customer service is online only on business days from 10 AM to 5 PM CET time. Instantly after the first deposit, 100% bonus up to 1BTC is activated, while after the second you are rewarded with 50% bonus match up to 0.3BTC. In order to cash out the free money, all bonuses need to be wagered 35 times. While the contribution to the wagering requirements of the majority of the games is insignificant, only slots contribute with 100%. Bear in mind that all bonuses expire after 30 days, so you will have to wager impressive sums so that you can profit from the token of appreciation. 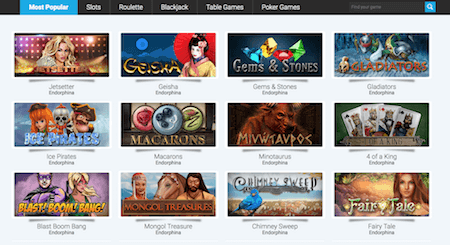 With Coin Palace online casino you can play all your favorite games on the go. Whether you use smartphone or tablet, iOS or Android device, all the games are exact matches of their desktop versions, not losing any of their features or graphics and sounds qualities. With the Instant play platform, a download is not needed and you can try them all for free using the fun balance you are welcomed with when you enter this gaming venue. And you don’t even have to be a registered user. Get a 100% Match Bonus Now >>> Play Now!